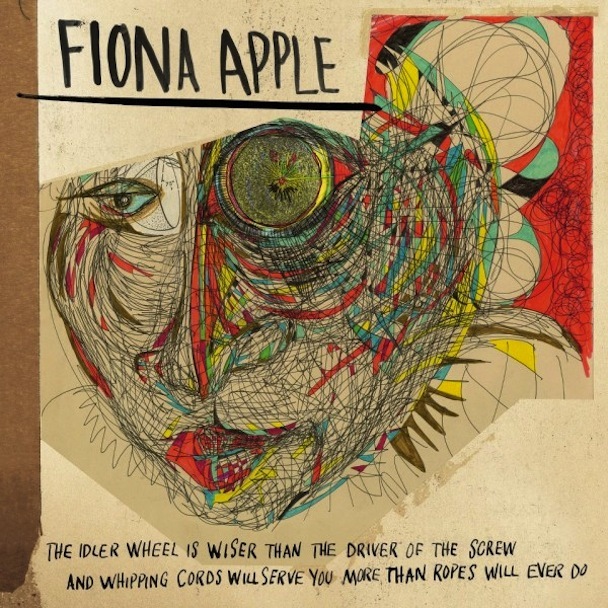 It can’t possibly be 16 years since Fiona Apple busted on the scene with her mesmerizing talent and uncanny ability to polarize, can it? Maybe the reason it doesn’t seem that long is that she hasn’t released all that much music in that span; her newest, saddled by a typically wordy Apple title, is just the fourth full-length of her career. This album is largely a collaboration between Apple and percussionist Charley Drayton; the two co-produced the album and handle most of the instrumentation. The songs they create often embrace chaos and always seem to be on the brink of spinning out of control. They are also stark and raw, usually consisting of little more than Apple’s piano and whatever homemade percussion Drayton can conjure. In the past, Apple’s stark confessionals were always buffered somewhat by soothing music and plentiful hooks. Here, she is largely unadorned, and it ratchets up the impact of her lacerating lyrics. The degree of difficulty she is attempting is extremely high, yet the results are often startlingly good. The album keeps surprising from one song to the next, peaking with the stunning “Regret,” which, with its chunky beat and ever-descending chords, broods like a vintage Peter Gabriel track. That is, until Apple explodes with a searing condemnation of the unfortunate yahoo in her crosshairs; it makes Dylan’s “Idiot Wind” sounds like a thank-you card by comparison. If there’s have a quibble with the album, it’s that the last two songs break the spell a bit. “Anything We Want” and “Hot Knife” find the singer ready to jump in to a new love, physically and emotionally. Normally, we’d appreciate the change of pace, but Apple walks such a thrilling tightrope of rancor, self-recrimination, and resilience over the first eight songs that the sudden shift in temperament is a bit hard to swallow. Like an open wound, The Idler Wheel isn’t always pretty, but it pulses with life, brutal and true. Let’s just hope that Apple doesn’t wait so long next time to challenge us all again.